Being born in Holland always means that you’re born to be a biker. The country is completely flat, very densely populated and as a result no one can drive their car anymore when everybody would desire to do so. The country thus has a dense and beautiful system of biking paths. In some parts there is even heating under the asphalt to ensure that possible snow and ice do not interfere with the number one physical activity of the country: biking! An example is shown of a (two way) biking path in Holland. Never a car in sight! Being raised on a Dutch farm, I probably biked before I even could walk. I had to ride some 9 miles in the morning to attend school and the same distance again in the afternoon going back home. It was not until after I started to give anatomy lessons in medical school to junior students that I could afford to buy a racing bike that really got me started. Not that I was gifted with a special talent to ever win a racing contest, but I just loved the sensation of biking fast. It was also around that time that I heard for the first time of an initiative named the bikecentennial where bikers biked all the way from the US West coast to the East coast and I immediately knew that I was going to do such a trip. At least, some day…..
At that time around 1980, I didn’t realize yet what my medical profession had waiting for me in terms of working hours like crazy 24 hour shifts. Who would trust their lives with a pilot who has been flying an airplane for 24 hours in a row? Yet people put their lives in the hands of doctors all the time operating on them while the exhausted surgeon is hardly able to count to ten anymore……. So there were loads of excuses telling that having no time was delaying my coast to coast biking trip. That is until recently. Now that I am (semi) retired, I have both the money and time. The next issue was thus how to do this. On my own, loaded with luggage? In an organized group, where everything is arranged including the transfer of my luggage? Or perhaps together with my wife while she drives the car and transports the luggage? And what route to take? The classical route from Oregon to Virginia or the so called Northern tier instead, or perhaps the Southern tier? Also the question popped up what bike to take. I had tried various times to extend my daily mileage but while doing so I had also experienced several issues of discomfort. First there was saddle pain that eventually always creeps up. As a result I experimented with many different types of saddles and eventually came to the conclusion that indeed the often praised Brooks B17 leather saddle is the most comfortable one. But there were other discomforts that I couldn’t get rid of which were a creeping pain between my shoulders and pain at the base of my hands that I knew was the same as what people experience when they suffer from carpal tunnel syndrome. It was eventually the Trike Asylum website that got me started to think out of the box and made me think trike instead of bike. 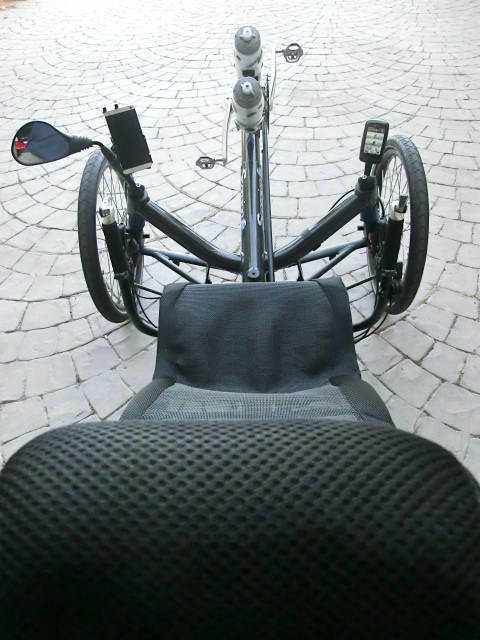 Would it be possible that on a trike there would be no more saddle pain, no more shoulder and neck discomfort and certainly no more nerve irritations in my hands? 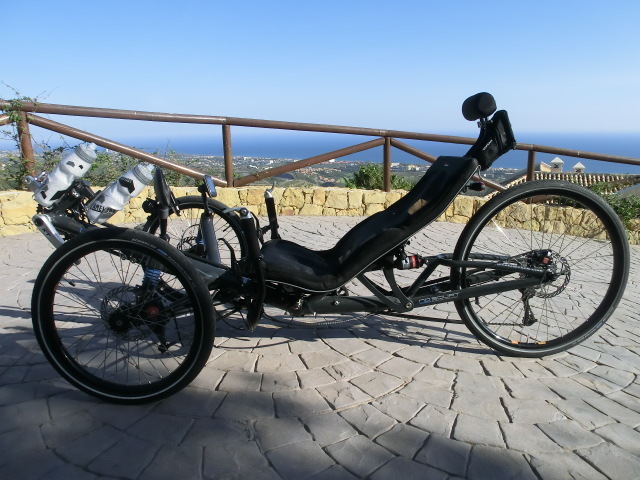 So early last year I started to do my research on the web and selected three trikes that I wanted to test ride from what appeared to be reputable manufacturers, namely the HPV Scorpion fs26, the Ice Sprint and the Catrike Expedition. I came up with several test criteria of which the most important ones were comfort (of course! ), steering and handling, speed, weight and the general quality of construction. I had the chance to ride all three of them on separate occasions for more than an hour each. With all of them I was overwhelmed by the enormous fun that these trikes provided and the seemingly higher speed than on a bike (which I know now is mostly a subjective sensation). The winner of the three was quite clear and the choice fell on the HPV Scorpion fs 26. 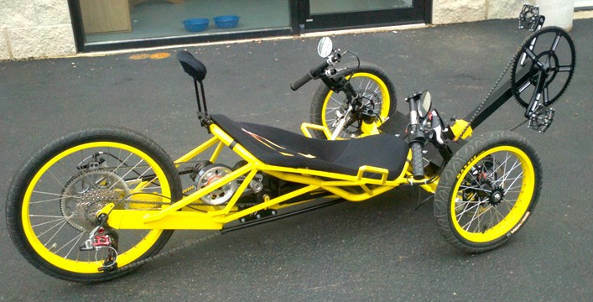 It was notably more comfortable than the other two trikes resulting from a very well designed rear and front suspension system. In addition the razor sharp steering and handling of the Scorpion were superior to the other two bikes. Further the typical German quality of build was outstanding including the well designed folding system which enabled me to put the trike in the trunk of my car. However, there were also two downsides to the Scorpion. The first one was the price tag that was significantly higher than for the other two trikes. The other downside was the weight of the trike. Clearly the sophisticated steering and suspension came with the disadvantage of a few extra pounds. 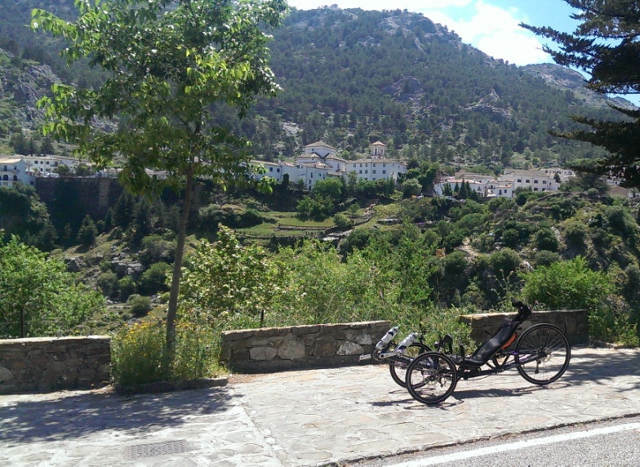 And since I currently live a significant part of the year in the South of Spain, which is extremely mountainous, the weight of any bike or trike is an issue. Where the French and especially the Swiss make it an art to design a road to the top of a mountain with a relatively constant inclination of 7-8%, the Spanish often take a more direct approach straight up the mountain, often with inclinations up to 20%! So I needed to do some homework and came up with some improvements. First I upgraded the Scorpion with Shimano XT (22-32-44 crank, 11-34 cassette), which saved a little more than a pound of weight compared to the standard version. In addition I upgraded the standard rear suspension with the DT Swiss M 212 air suspension and also upgraded with the lighter SPD A600 pedals that together shaved another pound of the standard weight. Then I ignored Steve’s advice to choose the Schwalbe Marathon Plus tires and instead mounted the foldable Schwalbe Marathon Racer which saved another two pounds of weight. (But Steve, I will eventually take your advice; for the coast to coast trip I will mount the Marathon Plus). Anyway, these upgrades and changes shaved all together about 4 pounds of the standard weight of the Scorpion. 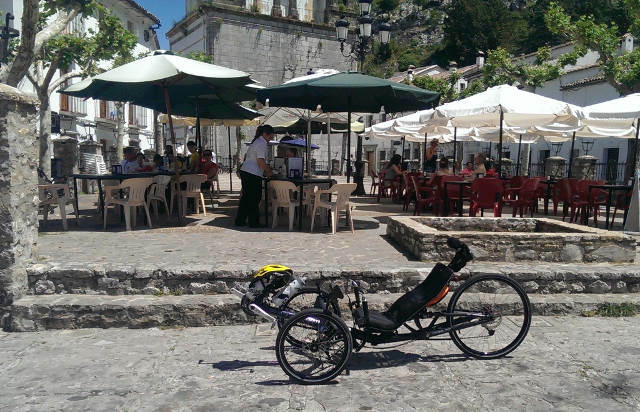 I can’t compare whether it really makes a difference in performance, but it made me feel good: I had chosen the most comfortable bike that handles like you’re driving a Porsche without ending up with a heavy trike. HP Velotechnik advertises for the Scorpion fs 26 with the slogan “Nur Fliegen ist schöner” which means that only flying is nicer. I have flown a glider and they are too modest at HP Velotechnik. Triking is simply the best! (Notice the small bag that I attached to the back of the headrest for carrying a plastic coat that I need while crossing high and often cold and windy mountain passes). I also realized that going for this uncompromised combination of low weight and high performance, I aggravated the other down side of the Sorpion fs 26 which is the price. The total price tag of the trike with Shimano XT, upgraded pedals and the Swiss suspension came to more than $ 6.000! But now one year later I have no regrets and I am enjoying every penny of its price. I even went on to change some of my accessories to make the load even lighter such as a new lightweight helmet (Limar) and very light (and as experience now shows very comfortable) Shimano SPD MT-23 shoes, one mirror instead of two and lighter (mini) tools. I thus saved another 1.5 pounds through lighter accessories. 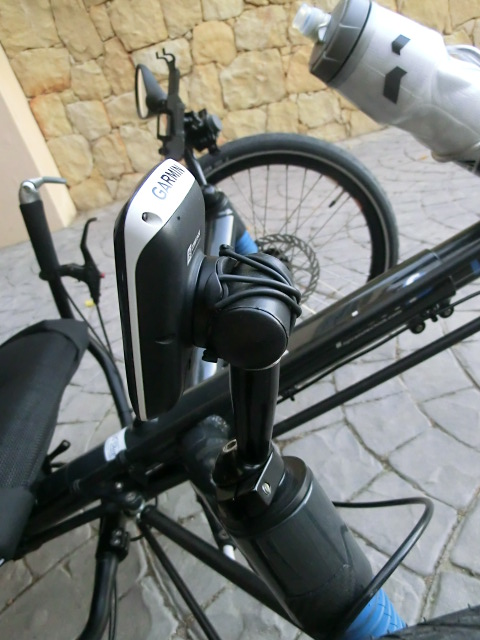 The Garmin 800 attached to the foot of what originally was the right mirror. I screwed a small PVC tube perpendicular to the foot so I could attach the Garmin. 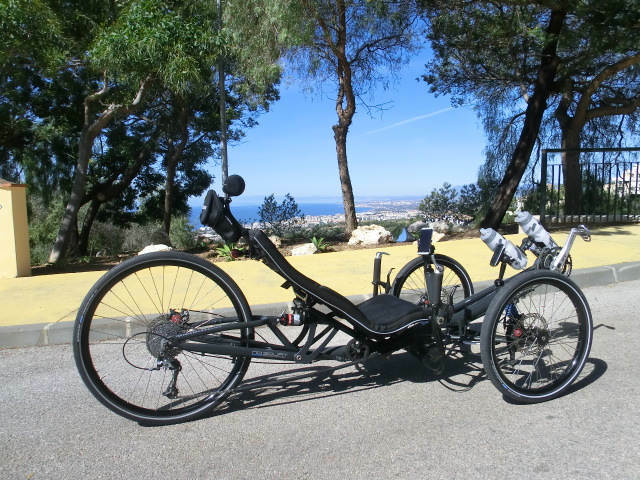 The information that I picked up from the web and also from my trike dealer told me that the first month or so my muscles would have to adjust to the different position and I would thus be going less fast. However despite (or perhaps as a result of) my medical profession, I could not really understand this story about the muscles from a pure biomechanical point. But I did indeed experience that at first I went slower on my trike than I did on my bike. Out of curiosity about what was causing this I put both my bike and trike on my Tacx home trainer. I can connect this trainer to my computer and among others register simultaneously my output in Watts as well as my heart rate. I noted something very interesting. Normally when I train on a rainy day with my bike attached to my Tacx home trainer, I feel comfortable like I could bike all day long with an output of around 150 Watts (I know, I am never going to win the Tour de France) and with a heart rate of about 125 beats per minute. I noticed that for the same subjective feeling of effort, my output on the tricycle was “only” about 130 Watts, thus considerably lower! At the same time I noticed that my heart rate also was considerably lower, namely only about 110 beats per minute. It immediately became clear to me what was going on there. 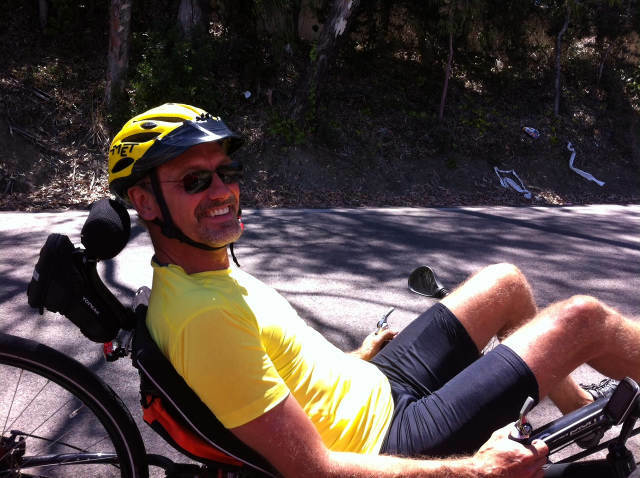 The trike was so much more comfortable than a bike that I was unconsciously trying less hard. The reason that one initially goes slower on a trike as compared to a bike is thus not a result of adaptation of the muscles, but instead your own psychology: a sort of “lazy factor”! You feel so incredibly comfortable on a trike that unconsciously your output is lower. I have repeated that same test later again and it shows now that there are no differences anymore. I have gradually adapted my output in Watts (and thus also heart rate) to the new comfort level and they are now (on a rainy day) also on the trike 150 Watts and about 125 beats per minute. Does anyone have similar experiences or want to comment in any way? From a T shaped PVC tube I made a connection on the left mirror for attaching my smart phone. 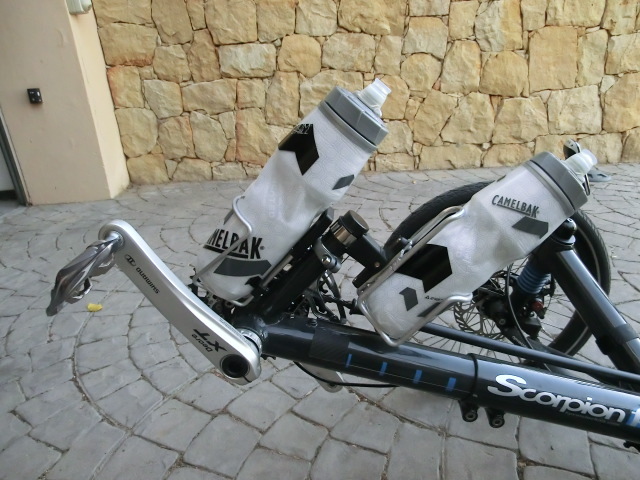 The Scorpion comes with only one predrilled attachment as shown on the picture for the left bottle cage. Usually I hate to put accessories with clamps on a frame, but I have to say that the Topeak Cage Mount functions very well. I have now a standard second bottle cage on the derailleur post and if needed, I can attach two more cages on the frame of my seat. I use 750 ml Camelbak Big Chill bottles. These bottles do have insulation and keep the water sufficiently cool. In the heat of the Spanish summer I fill up my bottles with ice, which provides ice cold water for many hours. Now about one year later and some 2,000 miles farther down the road I have turned into a fully convinced triker. In just a few words, I love the combination of absolute comfort, the sensation of higher speed and the relative horizontal position, which makes it so much easier to enjoy the surrounding nature than on a bike. I also notice that the objective speed of my trike on a horizontal road is quite similar to that of my previous bike but climbing is quite a bit slower. Of course there is the weight of the trike versus the bike (an increase of about 15 pounds). But in addition, while biking uphill, one has the advantage to be able to use other parts of the body as well (such as adding force to your legs by pulling at your handlebar with your hands). Also one can use gravity to their advantage by standing up on the pedals which is not possible on a trike. But the trike compensates for that because going downhill is faster, especially when it is a curvy road. 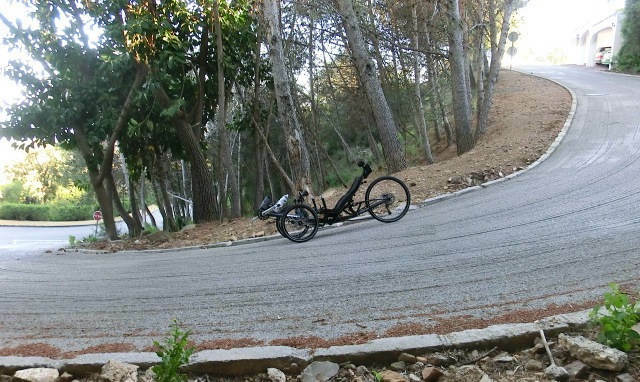 And above all, going downhill on a trike is not just fun, it is exhilarating! Anticipating a curve on the trike during a rapid descend from a mountain. 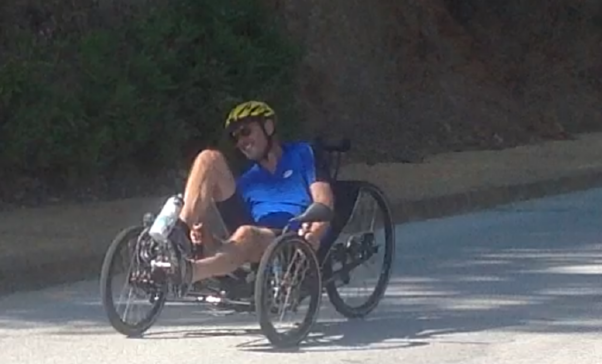 I am told by people that while triking I always have a smile on my face……. In the beginning I was quite worried about my safety from cars on the trike. I ride my tricycle mostly in Spain which does not have the luxurious biking paths like Holland and where driving discipline is not nearly as developed as in the United States. I always carefully plan my routes for triking in order to avoid the car traffic as much as possible. Fortunately, with the tricycle everything seems to be much safer than on a bike. First of all I installed a rear LED light, the Niterider Solas, which I would recommend everybody to do. I am now easily visible from hundreds of yards especially with the light in the flashing mode, even with the sun shining straight on it. The flashing Niterider Solas LED light makes you so much more visible! The cockpit view of my Trike. While triking I could even trade stocks on Wall Street with my smart phone, if I would desire to do so…. I conclusion, of all the bikes I owned in my life, buying the Sorpion fs 26 certainly has been the most exciting and unconventional purchase. I actually enjoy riding the trike so much over a bike that I have not touched any of my bikes (racing or mountain) for months, and I even gave my trike a name: Funderbird One. Just in case there might be a second one sometime in the future. And my planned trip from coast to coast? It is in preparation and yes there is always something in the way. At this moment there is a luxury problem which is my recently written a book “Living a Century or More” about what has been scientifically proven to be healthy or instead unhealthy and how one can realistically live to be a 100 while remaining healthy. In the mean time the book has received a lot of positive attention and as a result publishers in various countries have been approaching me for translations in other languages. In addition various health care and consumers organizations have invited me for presentations. But no excuses! Summer 2015 is the time for my coast to coast trip with my wife who will accompany me with an RV so that there is no need to load my trike with luggage. And by the way, for my coast to coast trip I need to ship my Scorpion fs 26. Despite that it is foldable, transatlantic transportation seems to be a nightmare with all the current restrictions enforced by the airlines for luggage. Does anyone have an innovative solution? Click the image to read more about William’s new book! DO TRIKERS LIVE BETTER AND LONGER? I assume that we all trike because we like it. But I am sure that many of us also think that exercising in one form or another keeps us fit, prevents us from becoming fat or will contribute to our life expectancy. But what are the real facts and is it really true or are we just pursuing a sweet dream? Probably all doctors will tell you that exercise is healthy, but the facts are that very few physicians know the facts either. My own frustration as a physician is that we are trained to act like plumbers, who only start acting when there is a leak to repair. Our health care system has been designed as a “sick care” system, to care for the sick and let the (still) healthy ones figure it out for themselves. From every dollar that Americans (or Europeans for that matter) earn, 18 cents goes to sick care and less than 0.4 cents to the prevention of diseases. A heart surgeon doing bypasses is financially well off and enjoys a high social status. Yet another doctor who advises on the right lifestyle that will prevent heart disease to occur in the first place will soon find out that insurance companies offer no declaration possibilities to doctors for “advice”. But let’s get back to our own world. Does all our triking contribute positively to our health and life expectancy or not? On the left most of the thigh consist of fat tissue with only small amounts of muscle and in the centre a tiny and thin bone. 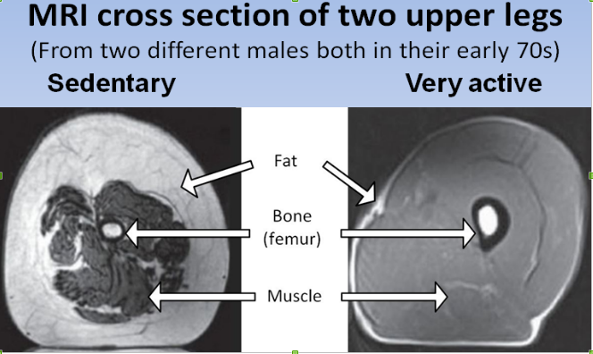 Compare that to the other thigh where there is hardly any fatty tissue but abundant muscle with a large and thick bone. It is not difficult to imagine that after a light fall the sedentary man probably will end up in hospital with a broken femur while the active person instead probably only would be bruised and will continue with life as usual. But how much do you need to exercise in order to profit from it? Of course the more we exercise, the better our muscles and bones will become, but research has shown that the largest increases in bone mass already occurs when we change from being sedentary to being modestly physically active. And the benefits do not stop with just healthier muscles and bones. There appears to be a long list of proven benefits by exercise such as reduction of blood pressure, reduction of risks for hypertension and cardiovascular disease, reduction of arthritis, less depression, less anxiety, better quality of sleep and reduction of our risks for diabetes type 2 and also for cancer. Triking on a rainy day. Probably also healthy, but not exactly the real thing…..
Let’s look into just two of these proven benefits a bit more in detail. In 1992 a study was published that had been organized with more than 21.000 healthy physicians themselves as participants. They were followed up for 5 years and it was recorded during the entire duration of the study how much exercise they did and how many of them developed diabetes type 2. 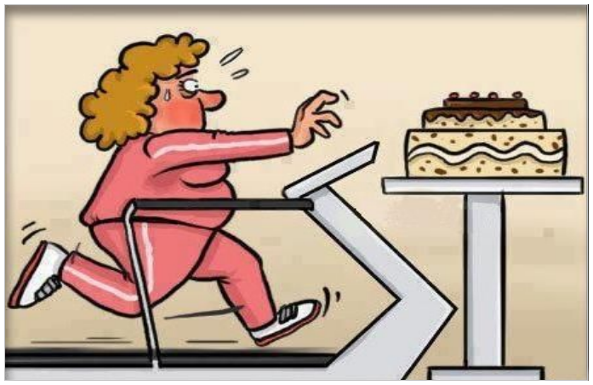 It appeared that the more the physicians exercised, the less the risk was for diabetes. Those who did not exercise at all had nearly a two times higher change to develop diabetes compared to those who exercised at least on five occasions per week. Another study showed that being physically active is nearly twice as effective for the prevention of diabetes as the widely prescribed drug called metformin and that those who already have diabetes and exercise reduce their chances for premature death by more than 50%. Also striking are the benefits of exercise for the prevention of cardiovascular disease (CVD). Whatever your weight might be (or perhaps better your body mass index, that also takes your height into consideration) you will profit hugely from exercise. 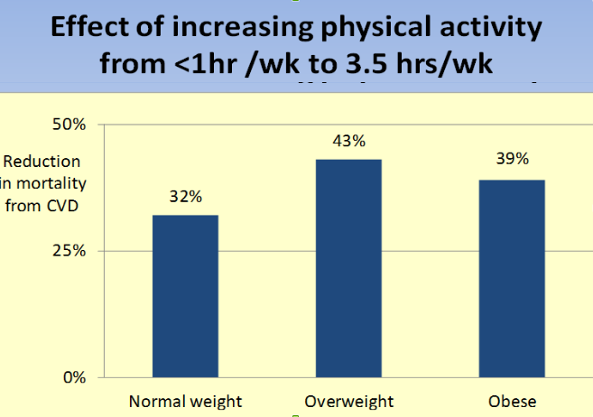 As the graph shows, whatever your weight is, exercise will decrease the risk for deadly heart attacks significantly no matter how skinny or how obese you are. But the differences become even more striking when both body mass index and exercise are taken into consideration. Those who combine a normal bodyweight with at least 3.5 hours of exercise per week have a five times smaller chance to die from a heart attack than those who are obese and do not exercise. The two guys in the next picture are going in opposite directions, in all possible aspects…… Indeed, their chances to die from a fatal heart attack differ by a whopping factor of five. Guess who’s going where? There are no doubts. There is now an abundance of scientific evidence published in the best medical journals that being physically active makes you live better, makes you physically and mentally healthier and makes you live longer. But whatever your activity may be, doing it for just a few months or so won’t help you much. The activity needs to be maintained and preferably for the rest of your life, so make sure to choose an activity that you really like. 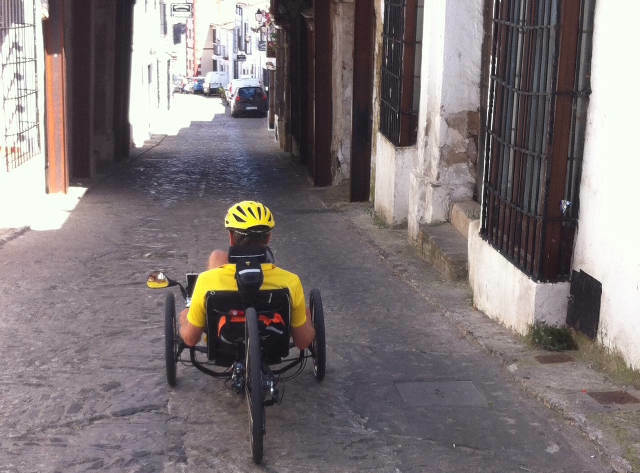 Triking is such an activity that I cannot imagine that one could not like. 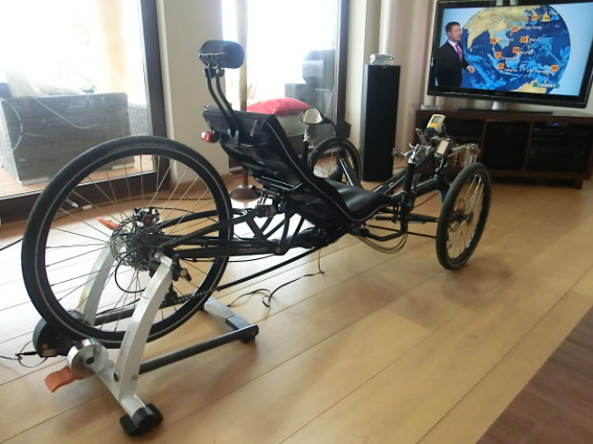 I am convinced: trikers live better, are healthier and will live longer! For those trikers who are interested in knowing more about how lifestyle can improve your health and longevity based on published evidence can read my book Living a Century or More, email me for personal questions (william@factualhealth.com) or comment through this website. As I have written before on this site, I am originally from Holland where the absence of mountains and hills and the abundant availability of dedicated biking paths make biking and triking easy and relatively safe. 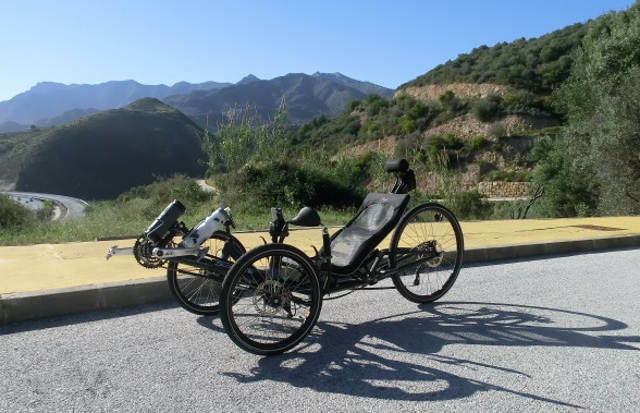 However I love climbing mountains with my trike and prefer warm and sunny weather over the rainy Dutch climate. While the sunny and dry Spanish climate may be widely known, not many people realize that Spain is actually the second most mountainous country in Europe, after Switzerland. 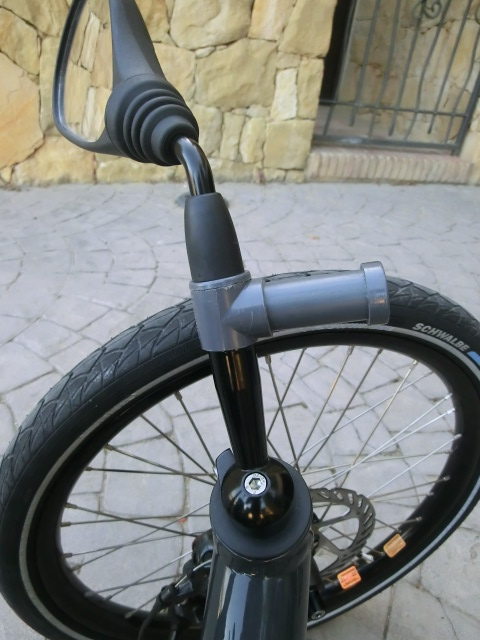 Therefore I love to trike in Spain! Spain has a rich cultural inheritance, not only from the time when the Spanish conquistadores conquered the Americas, but even long before that. The Moors from Africa occupied large parts of Spain since the beginning of the 8th century, until they were finally driven out of Andalucía in the South of Spain as late as the end of the 15th century. The traces from that time are still abundantly present in the form of beautiful architecture such as the mosques and palaces in Cordoba and Seville, the Alhambra in Granada and many details that are still visible in villages all over Andalucía. The Alhambra in Granada. Notice the snow covered mountains of the Sierra Nevada in the backdrop. 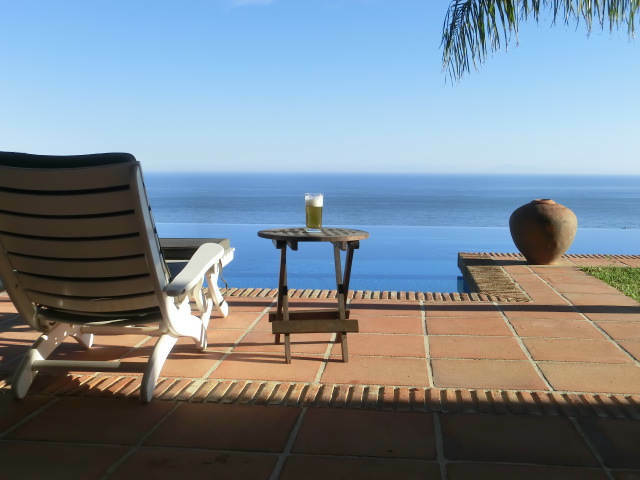 In the wintertime one can on the very same day enjoy skiing and the sunny Mediterranean beaches that are separated by a distance of only 100 miles. After bringing back large quantities of robbed gold and silver from the Americas, the Spanish got lazy and tried to impose their strict interpretation of the Roman Catholic religion upon England and The Netherlands and eventually lost the subsequent wars that left Spain nearly bankrupt. In addition Spain gradually lost out to Northern Europe where the French enlightenment and the English industrial revolution rapidly increased the productivity and wealth of nations. In addition Spain was ravaged by a devastating civil war (1937-1939) and was kept away from the post World War II economic miracle as a result of the Franco dictatorship that only ended as late as 1975. This situation changed very rapidly over the last 40 years after Spain became a modern democracy, became a member of the European Union and in many ways caught up rapidly with the modern Western world. For example Spain had the second fastest penetration of cell phones in the world (of course behind Finland, the home country of Nokia), the new highway infrastructure is probably the best in the world and arguably even better than the famous German autobahn. In addition the high speed railway system makes the US railways look like something from the history books and anyone who recently has been in the Madrid or Barcelona airports has observed what US airports may look like 20 years from now. Checks are no longer in the mail in Spain, instead instant payments are never farther away that a touch on the display of one’s cell phone. However, the rapid growth of the Spanish economy also resulted in an abundant growth in credit and bank loans and as a result the country has been hit very hard by the 2008/2009 banking and credit crisis. Fortunately the country is gradually showing signs of recovery especially fueled by a strong growth in tourism from Northern Europe. 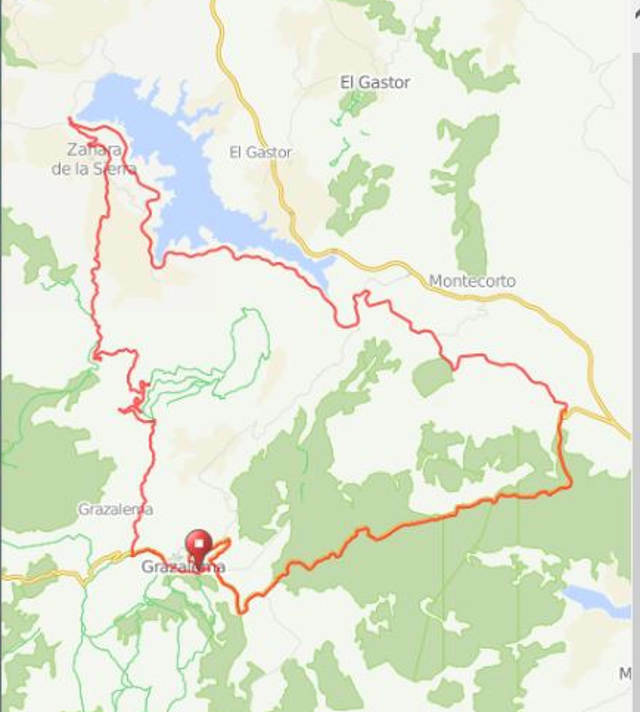 My triking trips in Spain always start by developing and evaluating my routes on www.ridewithgps.com. The reason is that many secondary roads in Spain have inclinations that may exceed 15%. Unlike mountainous roads in France and Switzerland that are designed not to exceed 8-10%, the older and smaller Spanish roads often go straight up a mountain no matter how steep it is. I love climbing (and descending!) mountains, but there are limitations…..
An example of a steep Spanish road. 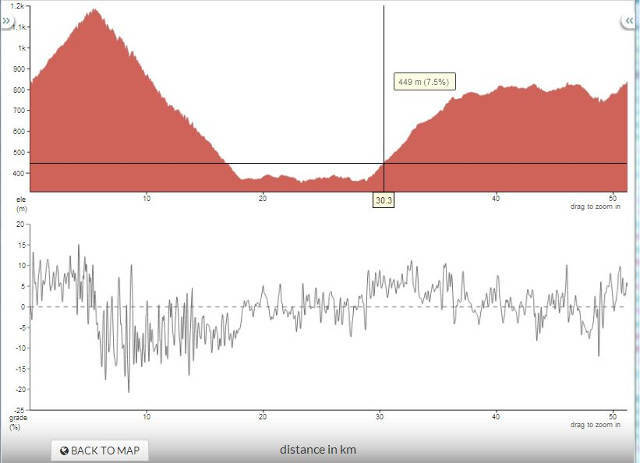 Planning my trip on www.ridewithgps.com not only shows me the distance, but also the elevation profile including the percentage of inclination at every point. Some of the trips are just too distant from my home for a day trip or are difficult to reach by trike. This is one of the reasons that I have chosen the Scorpion fs 28 since folding and unfolding takes less than 30 seconds, where after the trike fits easily inside the trunk of my car. The various pictures give an impression of a typical day trip, this time in the vicinity of an Andalusian village named Grazalema, not far from the Spanish Mediterranean coast. Yes, Andalucia is mountainous . 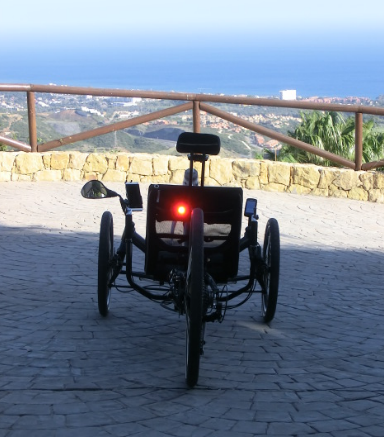 . .
How can you not smile while triking under the sun in such beautiful natural surroundings? Home again. Heaven does not need to wait, it is already here . . .
Yours truly, with the good Doctor’s new book, is eager to read every last word. As perhaps most of you realize by now, I am what the majority of folks would consider an extreme health nut, that peculiar type of person who seems to place personal fitness, health, and longevity at the uppermost tier of existence. Rarely have I ever met another human being who views my philosophical passion for overall well being as rational for ordinary life amongst our cultural ways. Indeed, I am a deviant soul who hears the music of a vastly different drummer – deviant in that my penchant for pursuing maximum functional longevity is clearly not normal when measured against the American Way, in a country where excesses are the expected goal, pharmaceutical companies are the treasured providers of easy health maintenance, and physical neglect is masked as an age related phenomenon. I may be viewed as a longevity warrior perhaps, one who respects life to such a degree that my path is largely determined by that which actually extends functional life, rather than by those things coveted by the masses that shorten and destroy the very power of life that grants us our short adventures on Earth. I attempt always to be one who heals life, not one who wounds it. In pursuit of maximum functional longevity, which is living long in a fully functional manner, rather than spending the final 15 years of my life in unpleasant decline and assisted living facilities, I have read many books and assessed many studies during my adult life that suggest strategies intended to keep my direction true. From books that detail the nuts and bolts of the human body and what keeps it working flawlessly, to books that review commonalities among centenarians, I soak up knowledge to remain vital and strong. Currently in my sixty-fourth year of sentient beingness on this planet, I recently completed reading yet another book worthy of anyone’s time if passing the 100 year mark is honestly something that is not seen as a ludicrous pipe dream. I am what most would call an “old” man, but I pedal a tricycle, a vehicle that replaced petroleum powered automobiles for me in 2008. 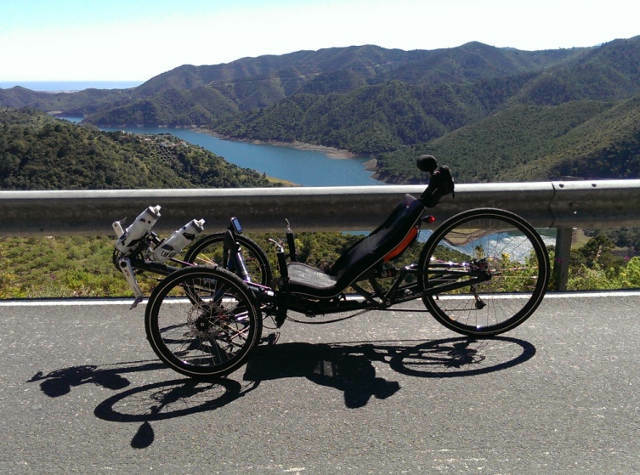 Quite a following of adult tricycle riders has grown up around my writings during the past several years, and astonishingly, out of these ranks came a Dutch fellow, from the realm of windmills, now residing in Spain, who seemed to share my passion for maximum functional longevity. I know many trike riders around the world, but this particular man, a one William Cortvriendt, happens to have recently written and published an exceptionally relevant manuscript geared to help the reader sail past the century sign with smiles on the face, and a ‘full speed ahead’ attitude. This book has an attitude – an attitude worth assuming yourself! In America, and other first-world countries, this attitude is sorely lacking, as evidenced daily all around us in the form of obese, sickly, and unhappy people, some of whom are still, unbelievably, addicted to inhaling deadly chemicals voluntarily. There is no time to worry about living long and finishing strong in an accepted and expected work ethic that is spiraling upwards out of control, one that speedily moves most of us mindlessly to our graves. Be number one. Earn the most money. Have the most toys. Take better care of your car than your body. Accept the common delusion that age brings us down at 78 years regardless of what we do, so why even bother? Yes, this is America, land of the short-timers. William Cortvriendt, a medical doctor with extensive experience in medical based research, has been a medical director of two pharmaceutical companies, a vice president of a medical device company, and a medical consultant for a prestigious firm serving governments. From this abundant background comes his new book, LIVING A CENTURY OR MORE. It is a scientifically fact-based journey for those who value the vital life power within them, and wish to maximize its functionality and duration. If you have not yet delved into the world of maximum functional longevity, this book will be a suitable launching pad for you to understand what to do and what to avoid if you wish to keep your body healthy and fit. And if you are already a seasoned longevity warrior, as I am, this book is yet another weapon in your arsenal to keep the rampant gremlins of death away from your doorstep. Doctor Cortvriendt’s meticulously crafted book looks specifically at the findings of legitimate science to discover the realities and mythologies of living a long and vibrant life. Is everything we hear in the lay person’s media accurate? If not, where does accuracy lie? This book separates fact from fiction in a manner that will put you firmly on top of the latest longevity research, citing studies as current as 2013. Within these pages you’ll find your ticket to the fast track of real answers, bypassing all the hype and promises shared by those who are ignorant of studies following hundreds of thousands of people for decades, where fact-based results draw your map along life’s overland highway. With his experience in the medical profession, Doctor Cortvriendt intellectually assesses the accepted science, and carefully leads you through the maze of confusion that is strewn across the realm of financially vested companies and media outlets more interested in creating the night’s dramatic headline than whether the facts are solid. Money, unfortunately, drives the world, and with this opportunity to acquire knowledge and wisdom from an accomplished academic who is also passionate about health, your path can avoid those wishing to persuade you for their own corporate interests. This book costs money of course, and one might simply dismiss it as one man’s attempt to up his own financial income, but as one who is also an author, I can attest that writing books is a labor of love and passion, for rarely does an author realize notable wealth through the endeavor. Further, as a student of maximum functional longevity for most of my adult life, I am adept at spotting a book that offers little in the way of results. This book is well worth the modest investment, whether as a paperback or electronic book, and will serve you very well if the knowledge is taken seriously. It has found a prominent place in my personal library, and will not be left to the dustbin of mediocrity. Doctor Cortvriendt provides you the secrets of a long and healthy life, and happily, these gems are well within the reach of nearly every reader. Genes play a part in our lifespans, but even negative genetic markers can be significantly diminished and overcome. It is not hopeless if we have a known family history of some type of disease or disorder. Does his advice require a commitment on your part? Sure, as does anything worthy of respect in life, for there is no free lunch. Lifestyle changes are going to be in order, but if you are one of those with eyes finally opening for whatever reason, this book will help to open them fully. In the twenty-nine chapters, William assesses the evidence, and then, based on what he reveals, provides advice on how might be best to proceed. This is your century map – follow it! The book that will make a difference!